IT APPEARS the Bundaberg community doesn't just like live shows - they love them. Deadly 60's Steve Backshall is bringing his Downunder show to Bundaberg tomorrow. And, according to Bundaberg Regional Council community and cultural services spokeswoman Judy Peters, tomorrow's shows, at 1pm and 4pm, are both sell outs. 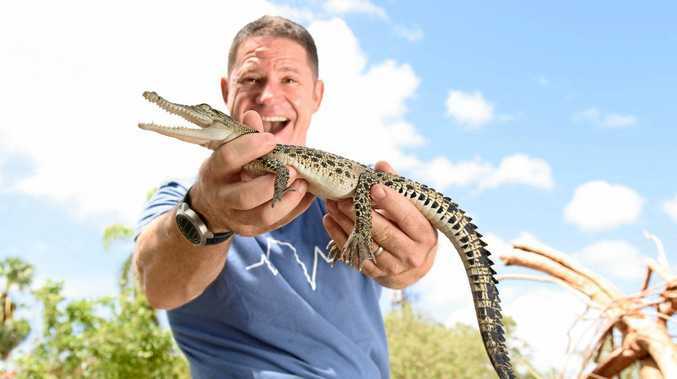 "With an auditorium capacity of 797 the Moncrieff Entertainment Centre is sold out for the two upcoming Deadly 60 Down Under shows starring Steve Backshall - one of TV's best-known wildlife presenters, naturalists, writers, public speakers and adventurers,” Cr Peters said. "The first show went on sale at 9am on October 15 with 715 tickets - nearly 90 per cent capacity - sold by 4pm that same day,” she said. "In response to this overwhelming demand the promoters made the decision to schedule a second Bundaberg show. "This will be a sensory friendly session, as we believe all family film screenings should be community inclusive. Click here to find out about upcoming events or visit the Moncrieff Facebook page to stay up to date.